The DISC is an updated version of the OWNFOR Lagrangian device (Paris et al. 2008) that tracks the orientation behavior of pelagic larvae in their natural settings, allowing to investigate their navigational cues. An improvement from previous versions is its transparency underwater, removing visual artefacts to the tested larva. In essence, the DISC is composed of a circular behavioral arena, transparent to small scale turbulence, light and sound, and is equipped with environmental sensing and tracking instruments. 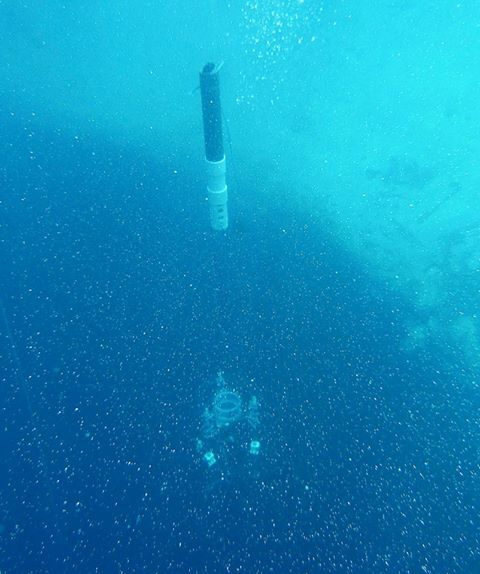 The device is typically set to drift at sea with an individual larva (or a group of larvae), while the larva(e) movement is recorded with an imaging system that can operate at night. The DISC device tracks larval movement while monitoring proximal and distant cues, which can also be manipulated. The DISC newest version (see Fig. 1, Paris et al. 2013 PONE) is designed by Claire Paris and engineered in the Physical-Biological Interactions lab, in collaboration with Cedric Guigand (RSMAS) and Charles CousinBELLAMARE. Jean-Olivier Irisson (LOV) contributed with the Physical-Biological Interactions lab to the development of the software to analyse the data, DISCUS (Irisson et al. 2009). David Mann LOGGERHEAD Instruments engineers novel acoustic and motion sensors to capture environmental signals via NSF-OTIC. Currently, several o-DISC versions are operational: a large version with a 16" chamber, the Grandpa-DISC, and a smaller 8" version, the mini-DISC. 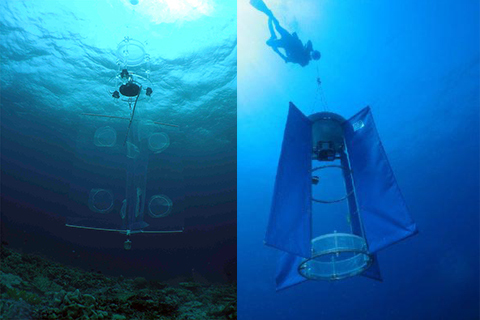 Both are being tested in the Great Barrier Reef, the Red Sea, and the Florida Straits, and more recently, The Bahamas. Stay tuned!